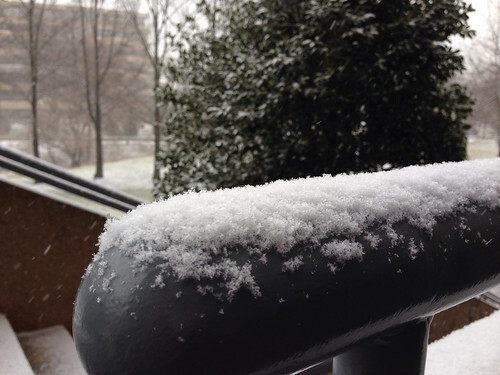 The Calico Cat: Is it really snowing again? I'm trying to pretend that it's November and I'm excited to see it. It's not working but I'm trying! Same disbelief here, a small coating of snow and 23 degrees this morning. Every year, I forget how miserable snow makes things and, every year, I get so excited when it first falls. Every single year.